If you have an oily skin, then you would agree that you need to wash your face more frequently than women with dry skin. When washing, you need products that dissolve the excess oil from your face without drying it out. If your face wash or soap strip off the oil from the skin, then the skin produces even more oil in order to overcome the dryness. Hence you need a face wash that removes excess oil and also balances the moisture levels of the skin. Face washes meant for oily skin normally have anti-bacterial properties to kill the bacteria that thrive in the sebum. That way, they help fight acne and pimples. So if you are looking for an oil-free healthy skin, then take a look at our pick of the best face washes for oily skin and give one of them a try. The Pears Oil Clear Glow Face Wash contains lemon flower extracts that helps in removing excess sebum and leaving the skin clearer and oil-free. It is a 100% soap free face wash that does not dry the skin excessively. Use twice a day for best results. It is priced at Rs. 95 for 100 ml. The Lakme Clean-Up Clear Pores Face Wash has green tea extracts that soothe the skin. The Salicylic acid helps get rid of the excess oil and dirt from your pores. The ingredients in the face wash control the production of excess oil in the skin and leave it soft and glowing. It is priced at Rs. 160 for 100 gm. The Lotus Herbals Teatreewash contains tea tree oil, cinnamon Bark and Oak Bark extracts. It cleanses the face deeply and removes all the traces of excess oil. The tea tree and cinnamon help in controlling the occurrence of pimples. The oak bark exfoliates the skin and leaves it shining bright. The face wash is priced at Rs. 160 for 120 gm. 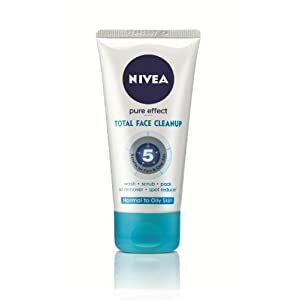 The Nivea Pure Effects Total Clean Up Face Wash gives you the goodness of a clean up in each face wash. The revolutionary formula unclogs your pores and rids it of all the impurities. The peeling properties ensure that you can safely say goodbye to blackheads and pigmentation. All you need to do is to foam it up on the skin, scrub gently and leave it on for a minute and wash off. It is priced at Rs. 199 for 150 ml. 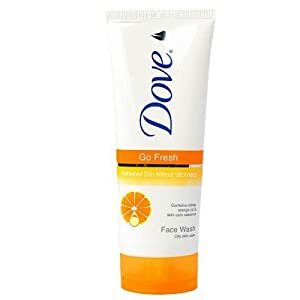 The Dove Go Fresh Face Wash is enriched with citrus fruits extracts and glycerin. The citrus fruits extracts help in removing the excess oil from the skin and also controlling the sebum production. The glycerin gently hydrates the skin and keeps it moist, but not oily. The orange oil in the face wash fights acne and skin infections. The face wash is formulated with Nutrimoisture technology which improves the skin vitality. The face wash is priced at Rs. 165 for 100 gm. 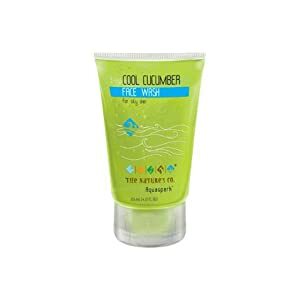 The Nature’s Co Cool Cucumber Face Wash contains aloe vera, glycerin, salicylic acid and cucumber extracts. It cleanses the skin deeply, removes excess oil and keeps it cool and hydrated. It is priced at Rs. 495 for 125 ml. The L’Oreal Paris Hydrafresh Face Wash helps in washing away all the skin impurities and grease. It has a mild fragrance and its essential vitamins and minerals nourish the skin and replenish the lost moisture. It also reinstates the skin’s natural pH. It is priced at Rs. 299 for 100 ml.